Burritos are an important part of life in Denver. Often smothered in green chiles and all other sorts of deliciousness, they are enough to cure the hunger that occurs across any level of sobriety. Which is big, because a liberal policy towards certain hunger-inducing substances is ALSO an important part of life in Denver. The "Mexican food with altitude" wasn’t found on many lists, but that shouldn’t discourage you from gorging on one of their burritos. They offer up their menu at five different locations (nab protein options like barbacoa & Applewood-roasted carnitas) and also hold a happy hour every day, which saves you some serious dinero from 3-6pm Monday through Friday, and 11am-4:30pm on weekends. Notice what time of day is ALWAYS covered. King of the hill to a little strip of land between Park Ave and 20th, in front of the infamous, Un-Safeway, sits La Pasadita Inn. Each dish here has that slightly off-color hue to its ingredients, which if you know anything about good Mexican, is a preferable sign. 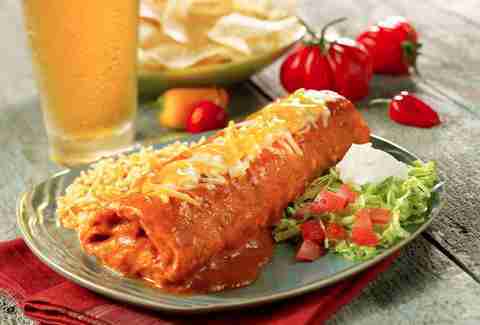 The chicken and bean burrito is muy bueno, especially when paired with a house marg that is perfectly salted. 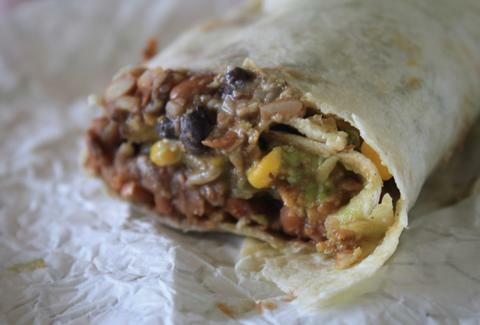 This chain is the choice spot for burritos on a budget, especially if you spent most of your money on something else that is tightly rolled and satisfying. 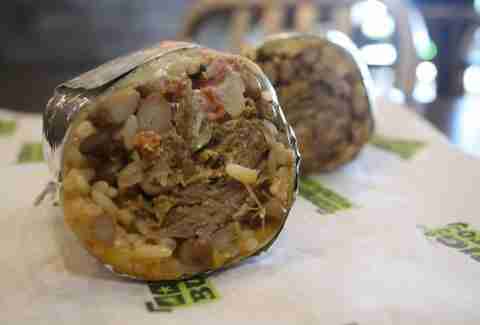 Most burritos top out at $3, but if you want a "serious amount" of beef and/or chicken, their Macho Burritos are the move at one of their 10 locations in the Denver area. If you happen to find extra couch money, or just love crushing burritos, their value bean and cheese burritos are 50 cents apiece. 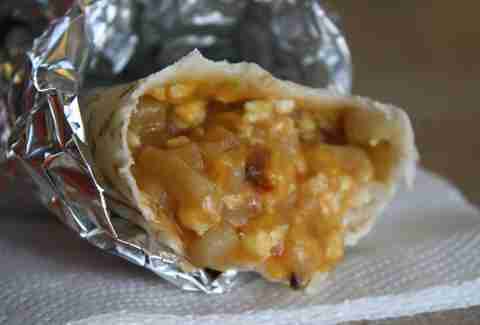 Located at Park Ave and Globeville Rd, Gomez Burritos is the ideal go-to for early morning wake-and-bake sessions. 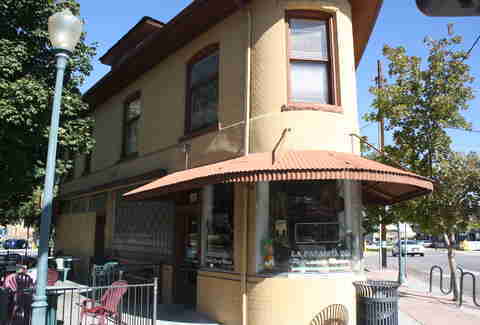 Opening up at 6am, the Gomez folks offer up 12 varieties, from the breakfast-style bacon, egg, potato & cheese burrito, to more mid-day-appropriate style dishes, like the pork, beans, rice & cheese burrito. 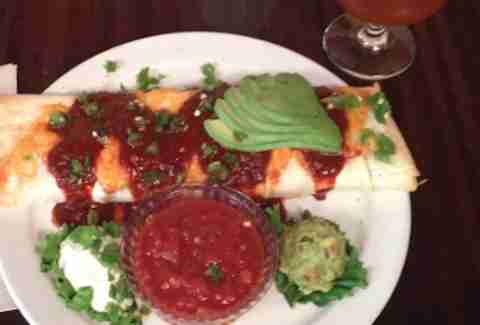 The usual suspects show up on the menu, but burritos are their game and their name. Embracing their hole-in-the-wall vibe, The Burrito Company operates as a cash and take-out only resto with a notorious soup Nazi efficiency of service… so maybe tread lightly if paranoia is a thing for you. Breakfast burritos are standouts, with nicely seasoned chorizo and fried eggs. Word to the wise, keep your tinfoil for extra support of the tortilla; these bad boys are loaded to carrying capacity. Big City Burrito spans across Mile High with 8 different locations (also one each in Boulder and Fort Collins), giving you no excuse to not chow down while also feeling a mile high. Big City earned a quick response and the top spot from panelist Daniel Carrol, perhaps because they offer up 12ins of burritos with some seriously good salsa on the side, like the tangy tomatillo or the hot and fresh jalapeño. Even what they call "mini" makes you feel inadequate. 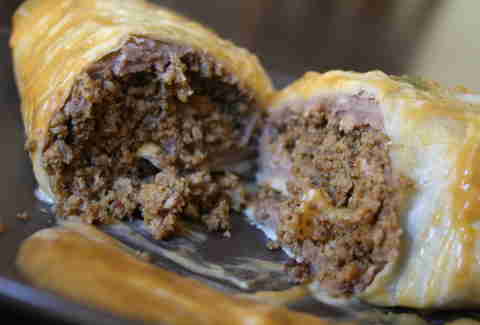 A full 8in is loaded with Monterey Jack, Spanish rice, beans, and a bevy of filling choices. Most people wake up with one, and it's totally normal behavior. By which we mean The Original Chubby’s "Wake Up" Burrito, a delicious and meat-heavy combo of eggs, potato, beans, bacon, chorizo & beef, ham, and sausage. Smother it all in green chili of course. And for lunch, if you have room or another stomach, get the Mexican Hamburger. 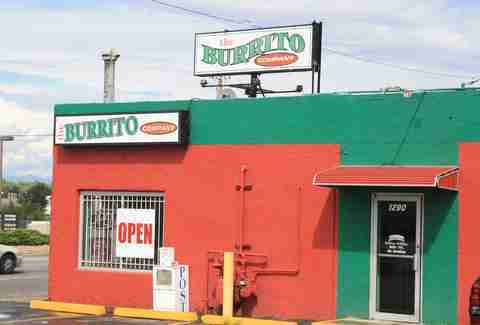 The family-owned burrito eatery (burritery?) is closing in on a quarter century of operation, and with that much presence (and the fact that they have expanded to 27 locations), they’ve earned a rightful spot on many a top five list. 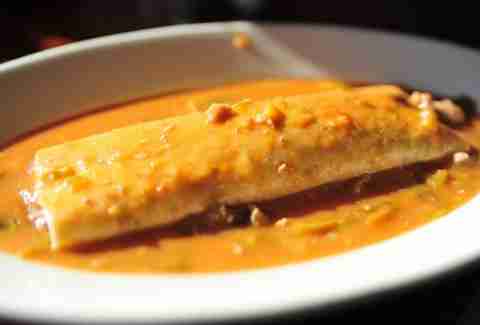 You'd almost think owner Carmen Morales' mama was still cooking and making the green chile. Whoever it is back there, keep it coming. The brewery may not be your first choice for downing burritos after building up a serious appetite, but Puerto Rican native Billy Archilla knows that his burritos (and the fact that they are "SO good") is all the reason you need. Vine Street will exchange cold hard cash for beans, rice, green peps, tomatoes, onions, Monterey & cheddar cheese, salsa, guac, sour cream, and diced jalapeños -- which should be, in anyone’s opinion, a solid deal. And if you've forgotten, Vine Street is a brewery, so downing all the fixings with a choice brew is not a bad idea. 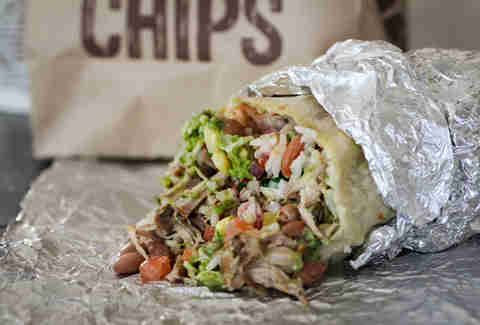 "Duh" was exclaimed by more than one panelist regarding Chipotle’s placement on their list of favorite burrito places. After all, the folks who roll good stuff know where to find other rolled good stuff. Its pretty easy from there, just keep the line moving. Descending from the mountains through a beam of light onto the plates and lists of everyone we asked is Illegal Pete’s and their stellar menu of burrito supremacy. These guys give a serious F about burritos. 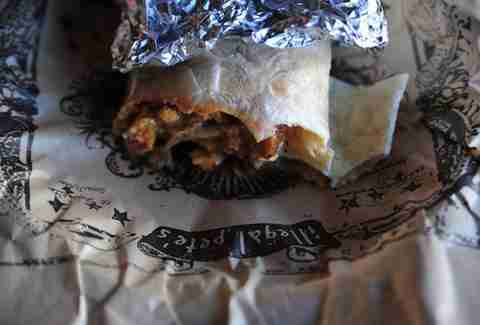 Offering up a nicely sized variety of pork, chicken, steak, fish, and veggie 'rritos, Illegal Pete’s is there to take on any form of hunger at one of their six locations in Boulder and Denver. Anthony Butler didn’t hesitate to place Illegal Pete's at the top of his list, and even claimed, "They kill it." And of course, you can have "it" all dumped in a tasty green chili bath. A special thanks to all our panelists: Anthony Butler, Bret Ahroon (Starbuds Medical & Recreational Marijuana), Kurt Britz, Billy Archilla, Matt Hart (3D Cannabis Center), Clay Brier, Katie Sweeney, Matt Schooley, and Daniel Carrol (Rino Supply Company).